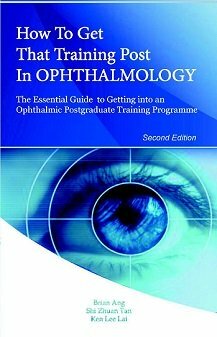 At present, 100% successful cataract prevention is not possible. As you age, your natural crystalline lenses will become gradually more cloudy and form cataracts (lens opacities). This is accompanied by your sight gradually becoming more and more foggy and misty as you grow older. Cataract prevention is therefore a very pertinent question that many have asked throughout the years. After all, no one wants to lose vision, especially if there was something that can be done about it. Unfortunately, there is currently no cataract prevention measure (of the very many touted in the internet) that demonstrates any scientific or clinical evidence of being able to do so. Nevertheless, there is no reason why cataract development cannot be slowed down if your eyes are properly looked after. 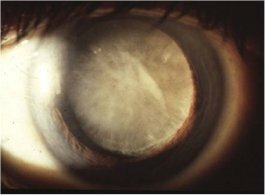 Severe, dense, white cataract with only perception of light vision - is this inevitable for everybody, or can it be avoided? Smoking is a significant risk factor for the development of cataract. This has already been established in major studies in the United States and United Kingdom. Cigarette smoke contains many harmful chemicals, such as tobacco-specific N-nitrosamines (TSNAs), benzene, pesticides, arsenic, cadmium, cyanide, and many many more. These toxins circulate all around the body and cause oxidative damage to the lens and other parts of the eye. It has been reported that those who quit smoking have a 20% less chance of needing cataract surgery after 25 years compared to active smokers. Smoking can also worsen other eye diseases, including glaucoma, age-related macular degeneration and thyroid eye disease. So for the sake of your eyes and your general health, try your best to stop smoking. If you are unable to do so, then at least cut down on the number of cigarettes you smoke so that you can reduce the amount of poison in your eyes and body. 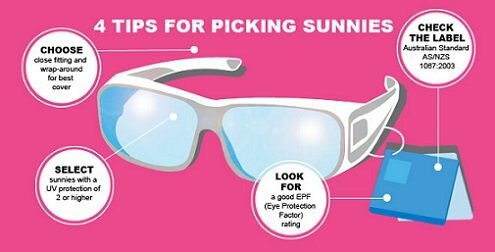 Ultraviolet light is thought to disrupt the lens environment due to heat damage as well as from oxygen free radicals. This has been confirmed in rabbit eyes, where sunlight exposure caused an increase in the temperature of the lens, which resulted in the lens environment being disturbed. It is likely that the human lens will also respond the same way to excessive sunlight exposure. Not only that, the ultraviolet light may also cause damage to the retina and increase the risk of age-related macular degeneration. So the next time you decide to go out to enjoy the sunshine, do remember to arm yourself with a big hat and 100% ultraviolet blocking sunglasses! Oxidative and free radical damage can disrupt the lens environment and contribute to cataract formation. These free radicals come from various sources: pollution, cigarette smoke, excessive sunlight exposure, unhealthy foods and even from our normal daily metabolism. To combat the effect of these free radicals, you should ensure that your diet is full of antioxidants, such as vitamin A (carrots, apricots, papayas), vitamin C (berries, citrus fruits, tomatoes), vitamin E (avocados, green leafy vegetables, fish), zinc (whole bran, eggs, peanuts), lutein (kale, spinach, broccoli) and zeaxanthin (brussels sprouts, cucumbers, green olives). 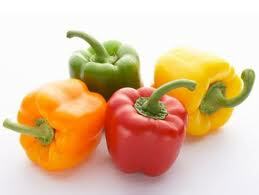 Fruits and colorful or dark green vegetables have plenty of these antioxidants. There is no harm taking more than the recommended 5 portions daily. Other beneficial foods include nuts (such as walnuts), whole grains (such as flaxseed) and fish, all of which have high omega-3 fatty acid content. Omega-3 fatty acids help improve blood flow and transport of oxygen and nutrients to the eyes. Finally, cut down on excessive calories and processed food intake. That means cutting down on fried foods, sugary and starchy foods, salty foods, greasy foods, fast foods, junk foods, etc. Try it out for yourself - a healthy diet packed with fruits, vegetables and fresh fish is far more delicious than any junk food you can buy! While we should be able to get all these antioxidants from our natural diet, natural health supplements may be able to give our body and eyes a boost. These do not have to be fancy. Even daily multivitamins and minerals will benefit if there are nutritional gaps in your diet. Make sure that the multivitamin and mineral supplements you buy contain the following: vitamin A, vitamin B complex (including B1, B2, B3, B5, B12, folic acid, biotin and choline), vitamin C, vitamin D, vitamin E, zinc, selenium, iron and magnesium. You may wish to consider supplements that also contain lutein and zeaxanthin, omega-3 fatty acids, N-acetyl-cysteine, phytochemical antioxidants and bioflavinoids. Extracts from ginkgo biloba and bilberry are rich in phytochemical antioxidants, and protect against free radical damage in the eyes. Bioflavinoids such as quercetin and rutin have been found to indirectly increase the antioxidant capacity of blood due to a synergistic effect with vitamin C. There are now formulations specifically designed to help protect the eyes from antioxidant damage. These include ICaps, Ocuvite PreserVision, Oculaire and MacuTrition. This of course sounds very obvious. By protecting your eyes from external trauma, you maintain the integrity of the internal lens environment. Both penetrating eye injury and blunt trauma, especially if sufficiently severe, can cause your lens to become cloudy. You can do this by adopting simple measures such as wearing protective goggles, such as when playing high-impact sports and working with machinery, and wearing your seat belt. Also consider the medications that you are on, as these may induce the formation of cataracts if taken over prolonged periods of time. One of the major culprits is corticosteroid. Steroid-induced cataract is well-known, and can occur whether you take the steroid as tablets, eye drops or inhalers. The phenothiazines are another class of drugs that can lead to cataract development. Phenothiazines can be used as sedatives, antidepressants or antipsychotics.